• 15" X 18" • Made of 11pt. manila stock. • Open end, string & button closure. 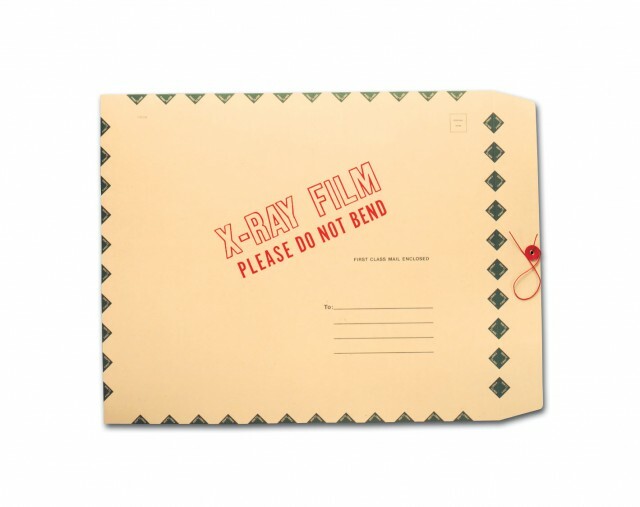 • Green diamond border with red "X-Ray Film, please do not bend." 50 mailers per carton. Qty discount applies. Call customer service at 1-800-251-2629 for pricing and more information.